Need a washing machine repair? We can Help! Tarzana Appliance Repair specializes in washing machine repair in Tarzana, washing machine repair in Sherman Oaks and in the entire San Fernando Valley. 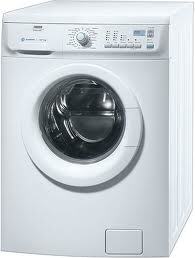 If you have a broken washing machine, call Tarzana Appliance Repair for a fast and affordable GE washing machine repair. Whether your washing machine’s detergent dispenser is broken, the unit isn’t draining properly or it stops in mid-cycle, one of Tarzanan Appliance Repair technicians will always arrive at your home for GE washing machine repair. No washing machine repair job is too big or too small for Tarzana dryer Repair. Tarzana Appliance Repair is factory trained and certified to preform washing machine repair in Tarzana, Sherman Oaks and in the San Fernando Valley on any of the following brands and more.